Kristine Russell was born and raised in Thibodaux, Louisiana. She graduated from Edward Douglas White High School, Nicholls State University, and Louisiana State University Paul M. Hebert Law Center. Following her graduation from law school, Kristine began working with the law firm of Morvant and Cavell. Her practice focused on insurance defense and family law. 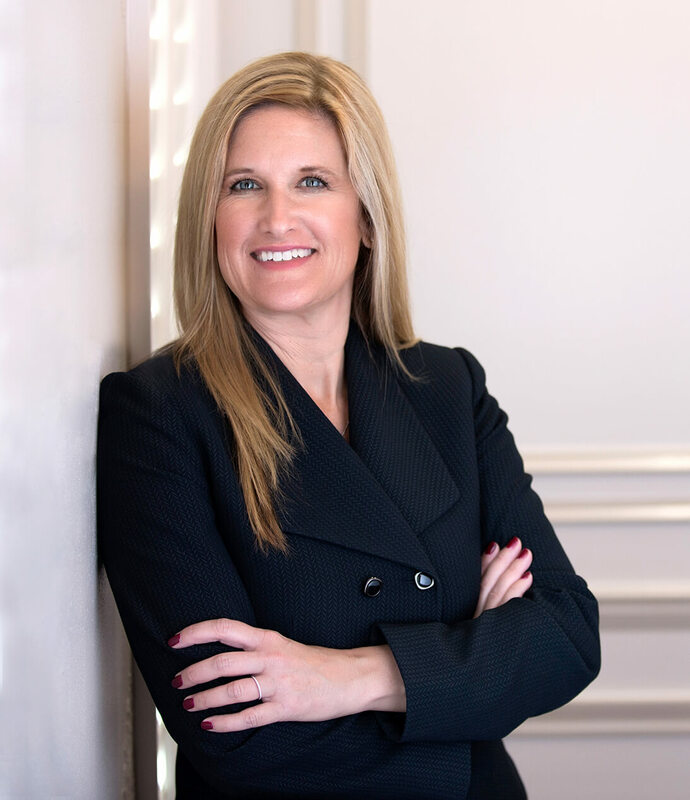 In 1999, Kristine opened her own law practice and continued to work mainly in the area of family law. She also taught Family Law for several years at Nicholls State University. The Lafourche Parish District Attorney, Kristine Russell, or her designated assistant, has charge of every criminal prosecution by the state in her district. She is also the representative of the state before the grand jury in her district, and is the legal advisor to the grand jury. District Attorney Russell is the statutory legal advisor to the Parish Government and to all Parish Boards and Commissions. In her capacity as legal advisor, she works closely with the Parish Council and the Parish President to protect the interests of Lafourche Parish. She also makes her Office available to answer questions and provide legal advice to Parish Boards and Commissions. Congrats to our Easter Egg decorating 1st place winner - Mary Szush! Very creative! Lafourche Parish District Attorney's Office is with Tarkisha Lewis and 5 others. What a fun day at MLK Park for Kids Fun Day! Thank you St. Joseph Masonic Lodge for hosting and Thibodaux Police Department and Lafourche Parish Sheriff's Office for helping sponsor it. The kids loved the face painting and we discovered some hidden talent in the Office. Lafourche Parish District Attorney's Office is with Daryl Ordoyne. Lafourche Parish District Attorney Kristine Russell announced that former Lockport Chief of Police, Warren Vedros Sr., pled guilty earlier this week to all charges filed against him - Theft, Forgery, three (3) counts of Malfeasance in Office, and three (3) counts of Filing False Public Records. Vedros and his attorney filed an open ended plea on Tuesday, March 26th, which means a plea offer was not made by the Lafourche Parish District Attorney’s Office prompting Vedros to plead guilty. Shelley Pate has been working in the Child Support Division for 27 years; she started on day one of the Division's opening. After many years of interviewing non-custodial parents and then custodial parents, she now spends her time with Child Support court preparation. Shelley said she loves the people she works with - they never stop laughing with each other, which is important to do in order to stay balanced in a tough job. • Hired a Public Information Officer in an effort to increase transparency, ensure access to our office as well as frequent information sharing. Update: #TeamKristine Kickin’ Chicken took home 2nd Place!! Way to go!!! #TeamKristine at the Nicholls State University CASA Cook-Off... a big thanks to the Kickin’ Chicken boys for hands down some of the best homemade fried chicken there is.